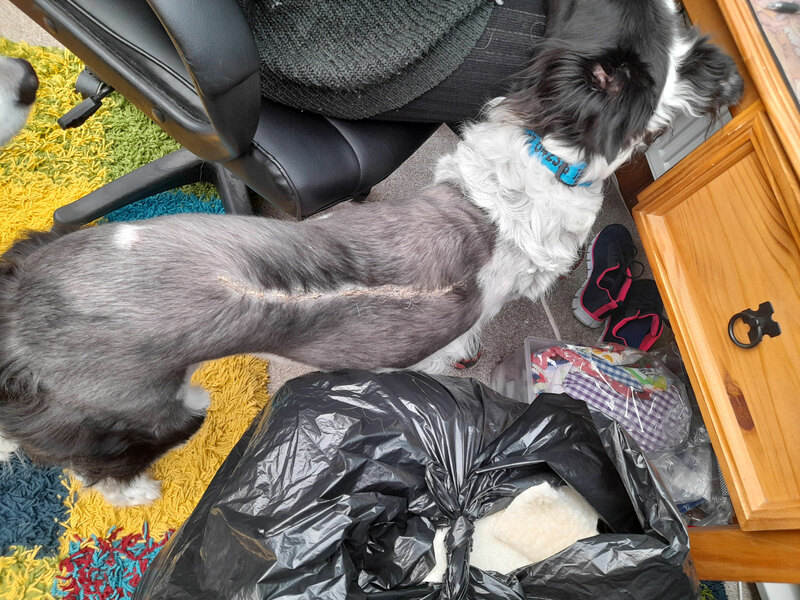 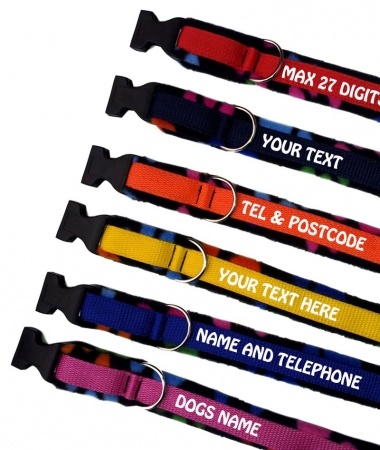 With dog theft on the rise, we try do everything as responsible owners to try to cut the risk to our best friends. 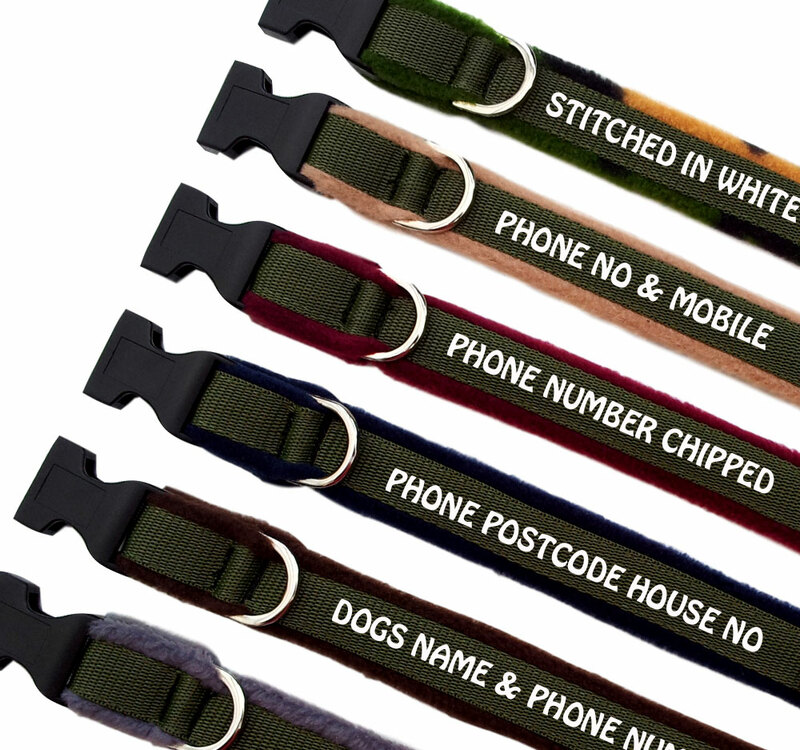 Our dogs are micro chipped by law in the UK which is fantastic. 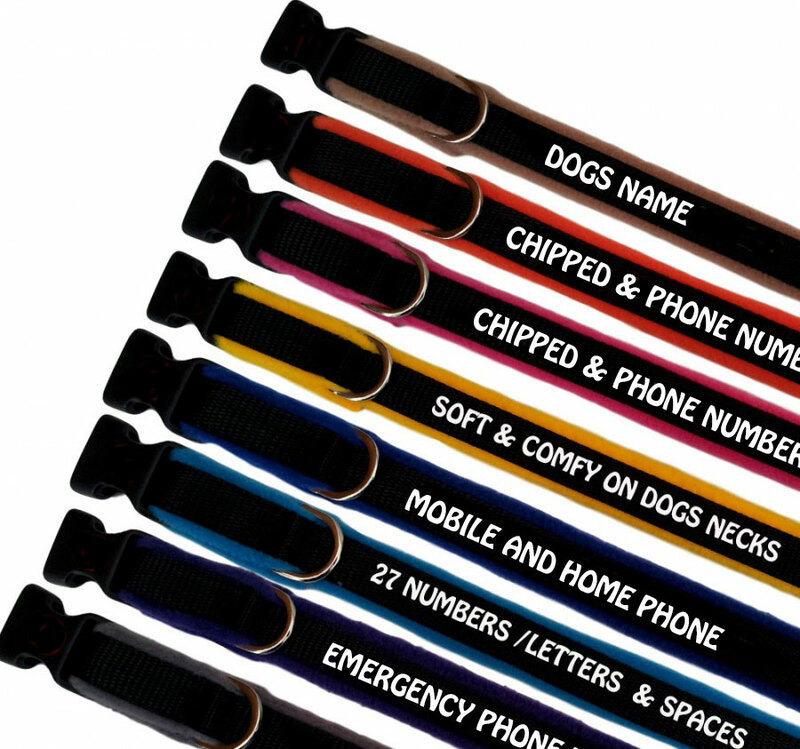 We have dog tags, which are brilliant until they fall off. 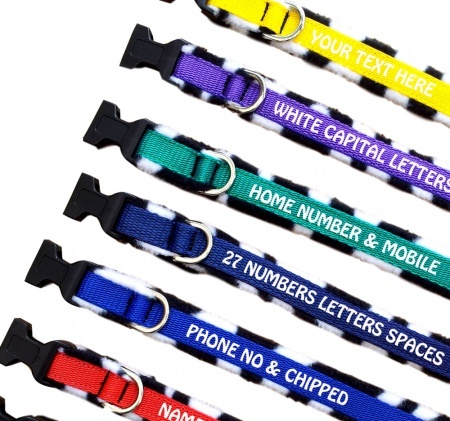 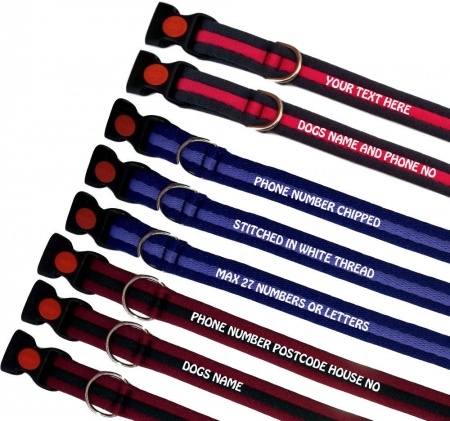 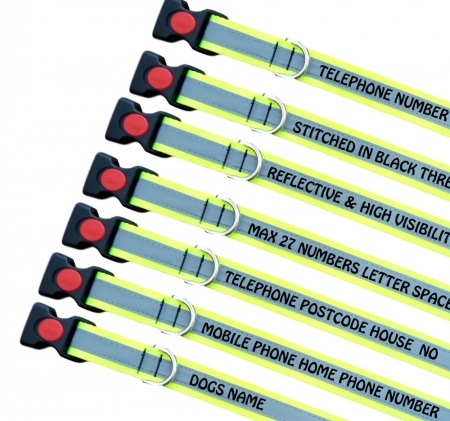 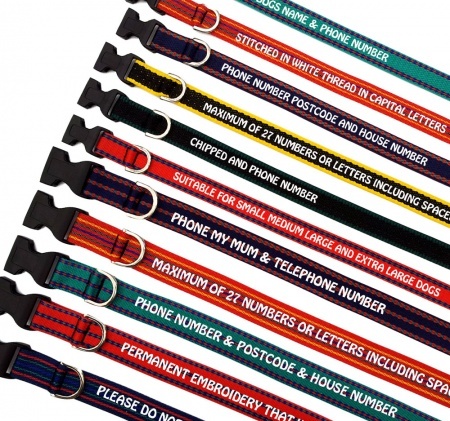 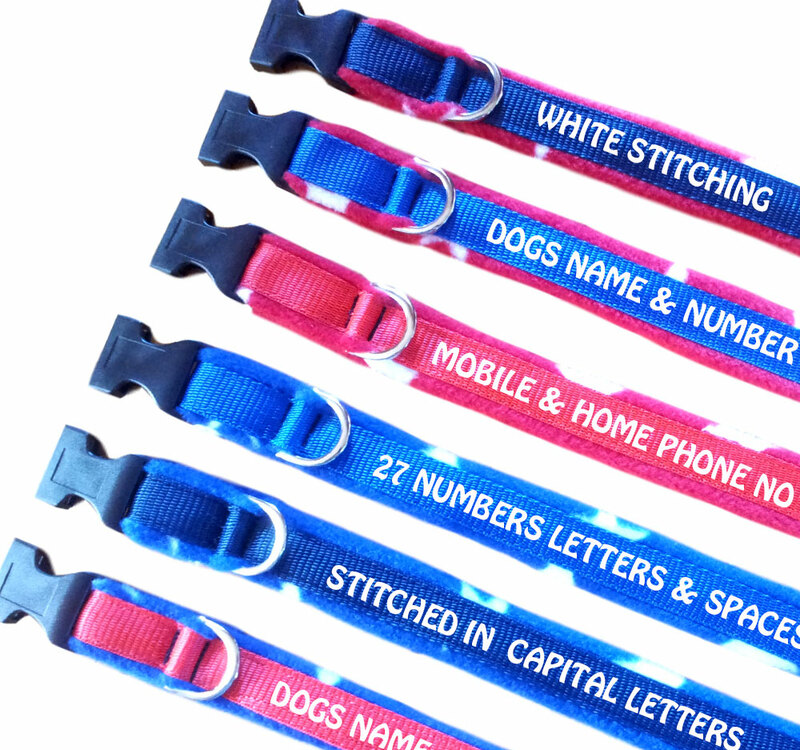 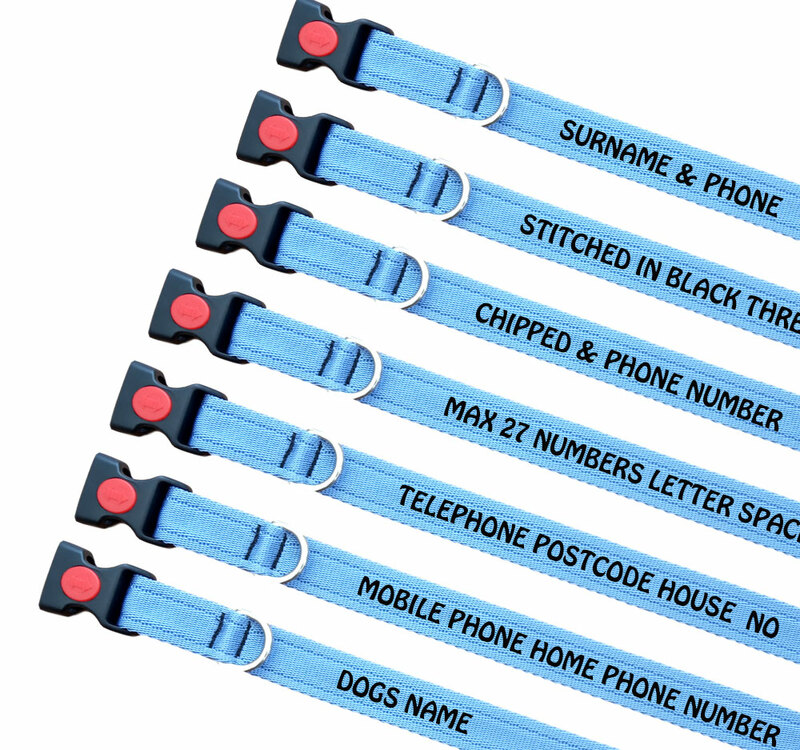 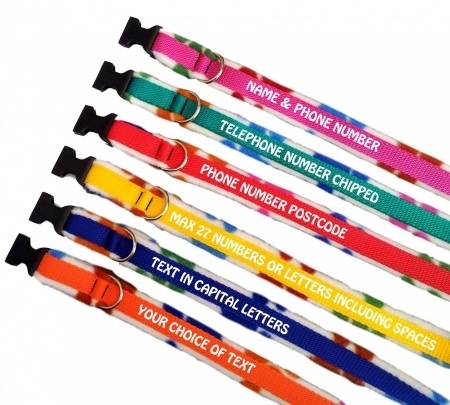 Why not have your details embroidered on one of our dog collars. 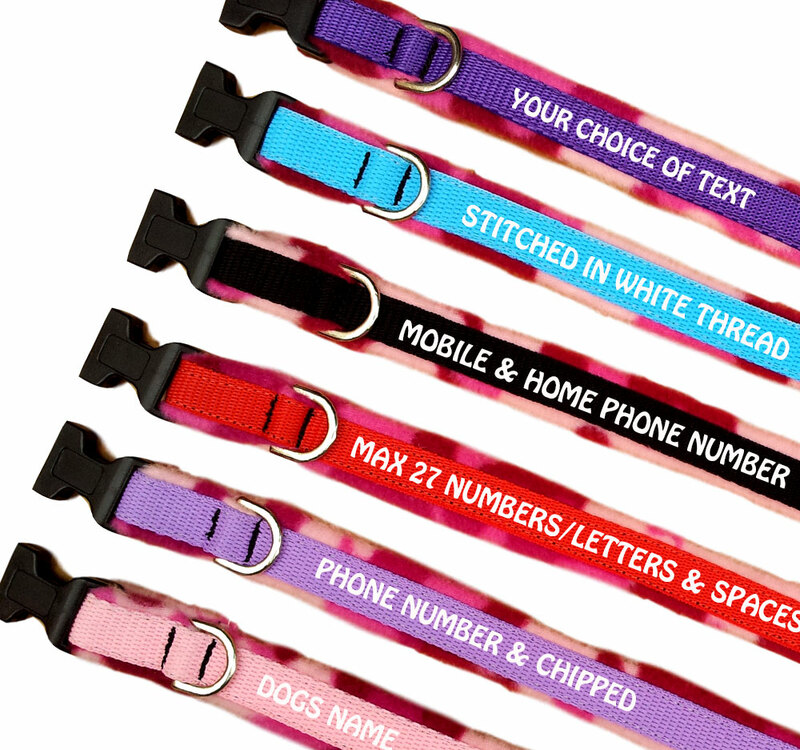 No more lost dog tags ! 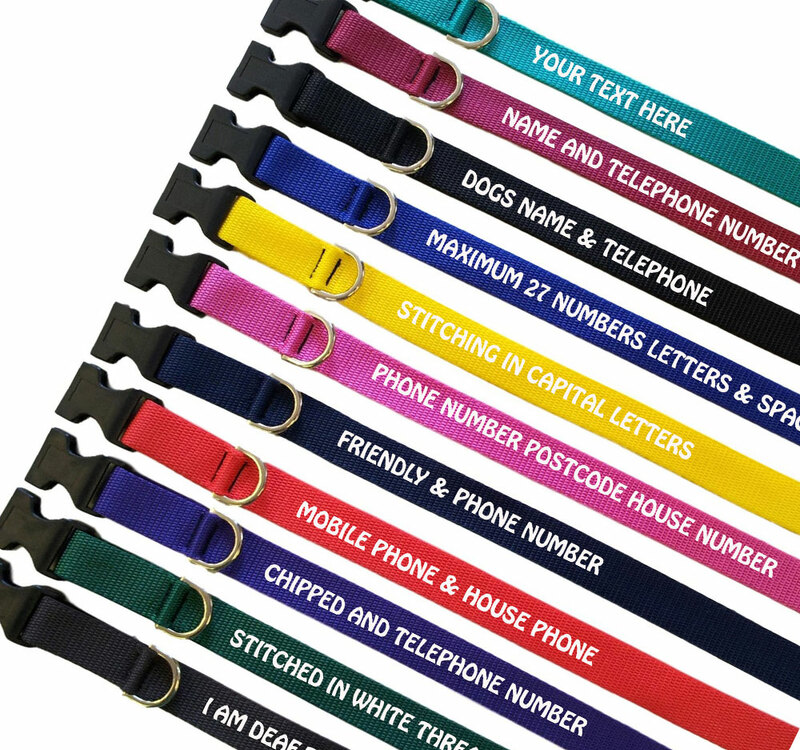 The choice is yours for the details on your collar, we personally recommend phone number, postcode and house number.